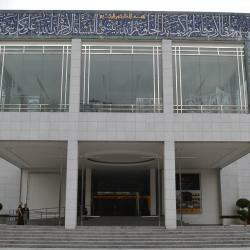 Looking for hotels near National Museum and the Museum and Antiquity Department? Featuring the largest standard guest rooms in KL, The St. Regis Kuala Lumpur features luxurious accommodations in the convenient location of KL Sentral in Kuala Lumpur. Le Méridien Kuala Lumpur Hotel offers accommodations just a 10-minute drive from Kuala Lumpur’s Golden Triangle city center. Located opposite the National Museum, Hilton Kuala Lumpur offers accommodations in the heart of Kuala Lumpur's city center. The Majestic Hotel Kuala Lumpur, Autograph Collection offers accommodations featuring modern colonial-style décor and Neo-Classical details. Located 2133 feet from KL Sentral Train Station, Ascott Sentral Kuala Lumpur offers contemporary apartments with free WiFi throughout. It features an outdooor swimming pool and a fitness center. Located within the hustle and bustle of the city center, Hotel Stripes Kuala Lumpur, Autograph Collection offers accommodations in Kuala Lumpur. Really great stay! Really friendly and helpful staff, comfortable rooms and great breakfast. Offering a terrace and views of the city, 1000 Miles is located in Kuala Lumpur City Center. Perfect location, very clean and nice room. The staff is absolutely fantastic and friendly. Shangri-La Hotel Kuala Lumpur offers accommodations in the city center, just a 5-minute walk to KL Tower and Petronas Twin Towers. The staff were incredibly helpful and friendly. Located in a vibrant district, Alila Bangsar Kuala Lumpur offers 5-star accommodations above the hustle and bustle of the city. The studio we rented was simply amazing, a beautiful mix between wood & industrial look. Featuring a terrace and a shared lounge, Space Hotel @ Chinatown Kuala Lumpur is located in Kuala Lumpur, a 20-minute walk from Islamic Arts Museum Malaysia and 1.3 miles from Bank Negara Malaysia... The location of the hotel is quite near to the local transport and food street. 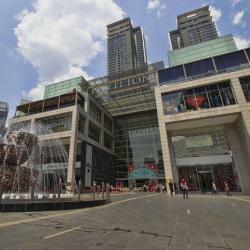 1.3 miles from Berjaya Times Square, Tian Jing Hotel is located in Kuala Lumpur and has free WiFi and concierge services. Very well designed, and well maintained. Centrally located in Kuala Lumpur commercial district, The Bed KLCC offers minimalist accommodations with free WiFi access throughout the property. The staff is super friendly and helpful. The hostel is so nice that I came a second time. A&R Boutique Hotel is located in Kuala Lumpur, 6 miles from Berjaya Times Square. 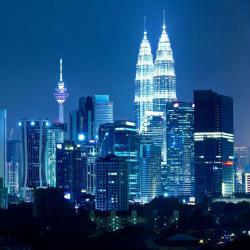 Around 6 miles from Dinner In The Sky Malaysia, the property is also 6 miles away from TREC KL and offers free WiFi. Feel comfortable when I'm in the room. Located in the heart of the Golden Triangle, W Kuala Lumpur offers accommodations within the hustle and bustle of Kuala Lumpur's city center. Service was fantastic. I had a great experience. Hotels with great access to National Museum and the Museum and Antiquity Department! Strategically located within a walking distance to KL Sentral railway station, M&M Hotel offers basic guest rooms with air conditioning. Everything about this hotel is perfect! 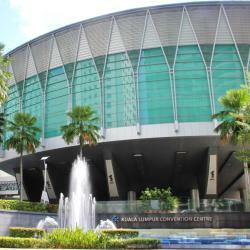 Providing free WiFi, Double M Hotel @ Kl Sentral offers accommodations in Kuala Lumpur, 1.6 miles from Thean Hou Temple. The hotel was so near to the mall. Its a plus!!. Located just a 2-minute stroll from the lively Chinatown area, Rainforest Hotel Chinatown welcomes guests with tastefully furnished guestrooms cooled with air conditioning. Just perfect - clean and comfortable! 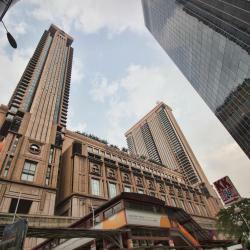 Located 984 feet from Dataran Merdeka, Avenue J Hotel, Central Market offers comfortable accommodations in Kuala Lumpur. a) Awesome location, especially the view of River of Life from the window. Featuring city views from its rooftop dining area, Hotel A-One is a budget property offering air-conditioned rooms with free Wi-Fi and a flat-screen TV. It is just 984 feet from Chinatown. For a budget room, it was very clean and comfortable. 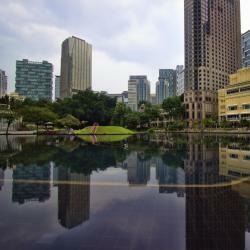 Adya Hotel Kuala Lumpur offers accommodations in Kuala Lumpur. Each room at this hotel is air conditioned and is fitted with a flat-screen TV with satellite channels. Great hotel for solo traveller like me, they prepared even iron.